IoT Developer Survey 2016 – Results are in! 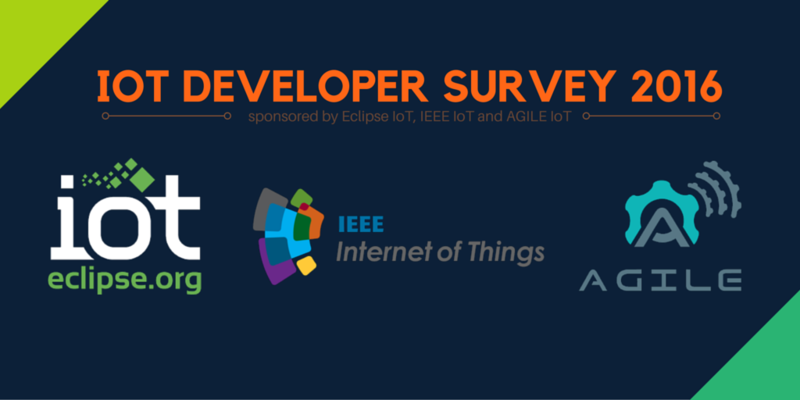 Today the results of the second annual IoT Developer Survey were released. Once again, it provides an interesting insight into how developers are building IoT solutions. This year, the Eclipse IoT Working Group partnered with AGILE-IoT and IEEE IoT. This expanded the scope and respondent pool for the survey, which resulted in 528 participants, up from 392 last year’s survey. The partnership also allowed the data to be analyzed in a differed way and to look for any significant difference between the different IoT communities. Read more. Posted in Community and tagged Survey.